Club: Queens Park Rangers F.C. 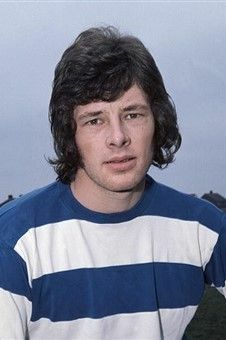 Gillard was a left-back who made at Queens Park Rangers a formidable full-back partnership with Dave Clement. He played almost 500 matches in almost 14 years for QPR plus a spell at Aldershot. He also capped for England 3 times in 1975. Gillard had his trademark in his tackle with the left-foot he used to show his opponents the outside; he often used to curve through the ball out of defence to serve Dave Thomas who was going down the wing but was also good with short passes; he rarely went forward but he mostly was a solid defensive player who fought the opponents' counter-attacks; he alaso had good movements and was very careful in covering. Gillard was a 6 ft 1 tall and because of his height he was very helpful at the near-post as defensive cover during opponents' corners but also as an addictional attacker during his team corners.